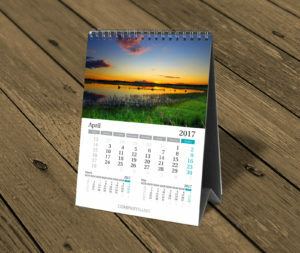 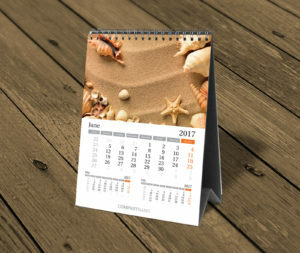 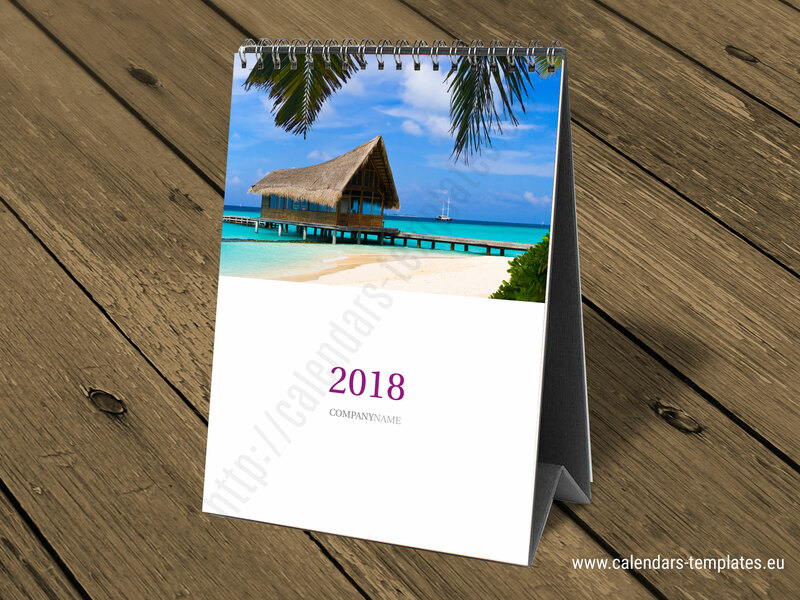 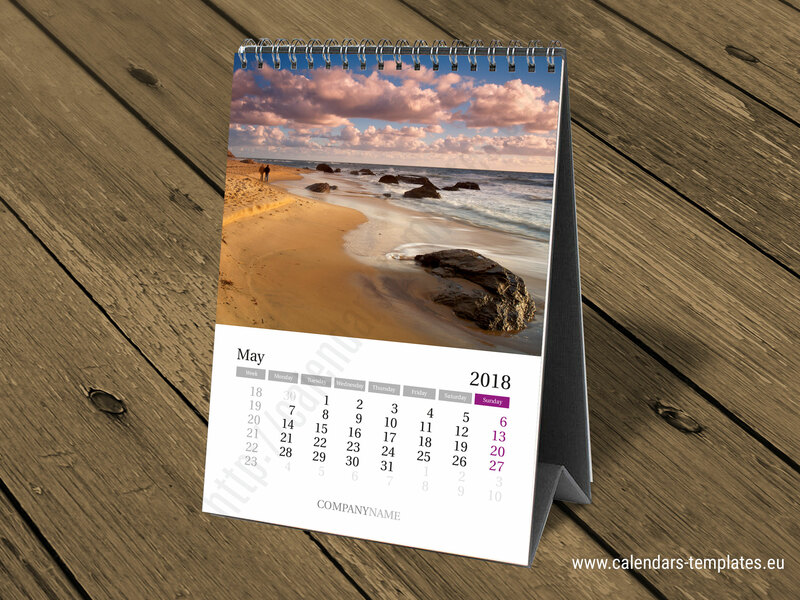 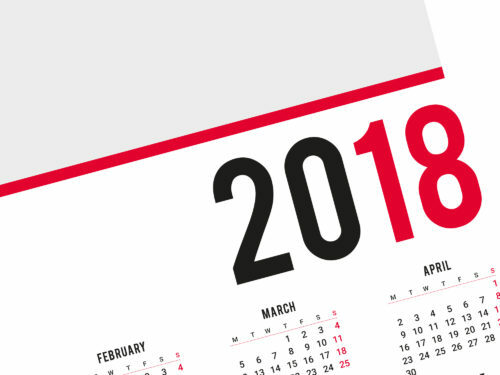 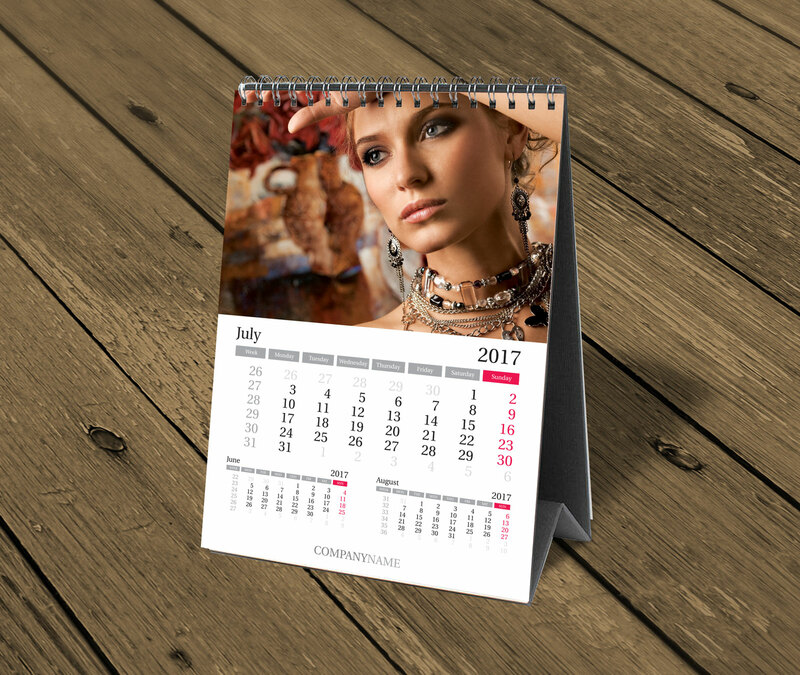 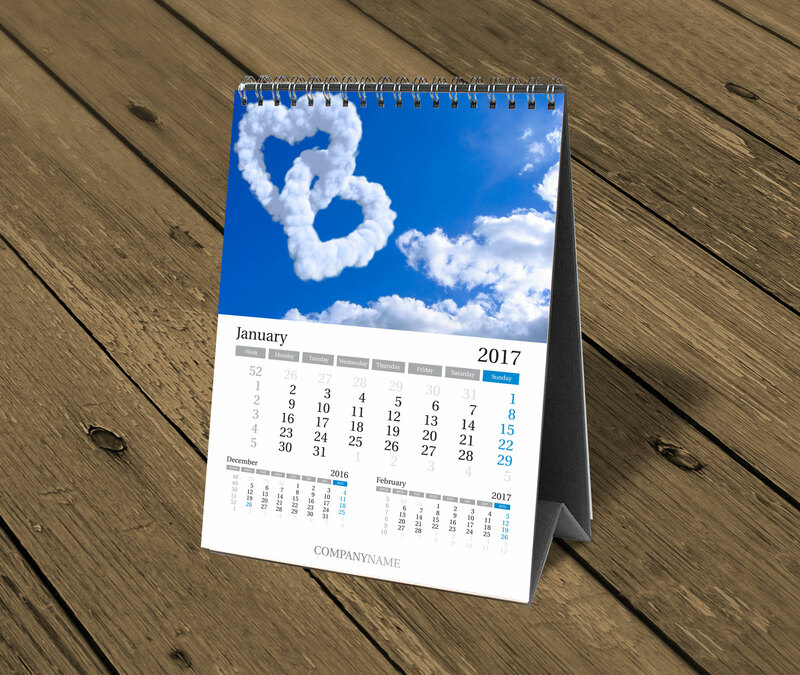 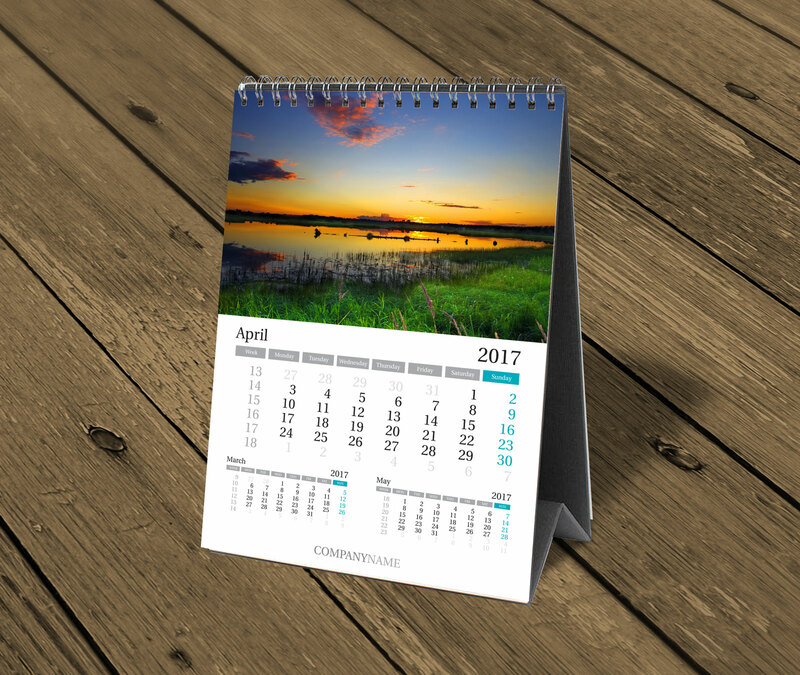 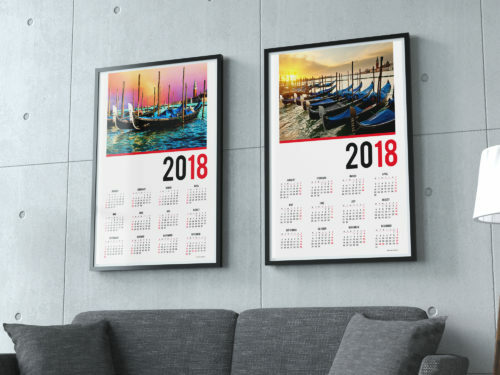 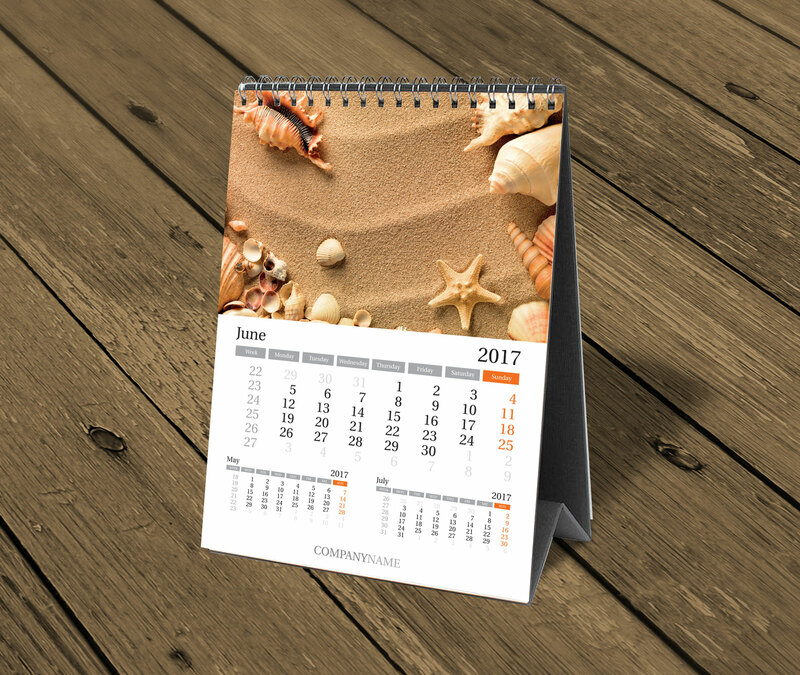 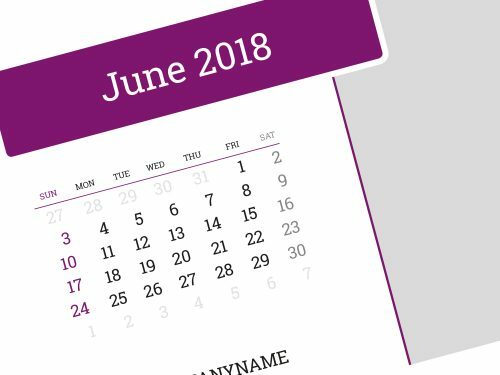 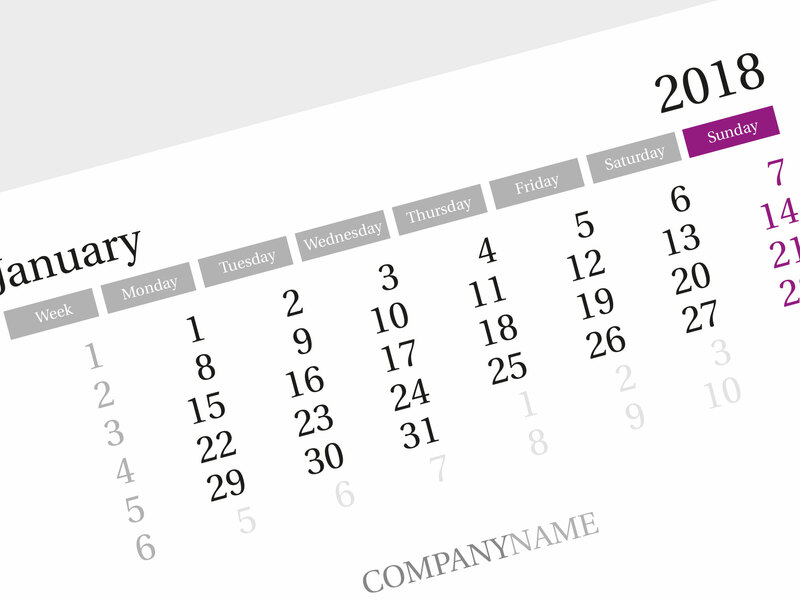 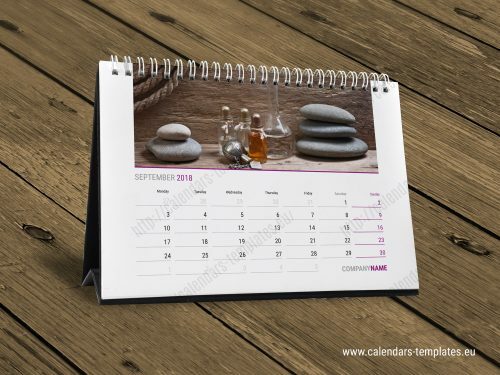 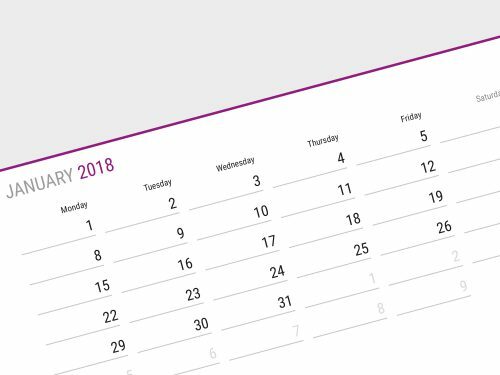 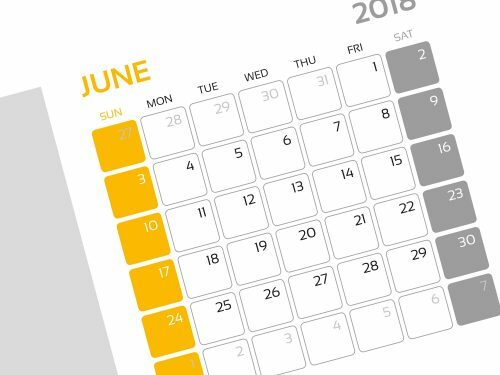 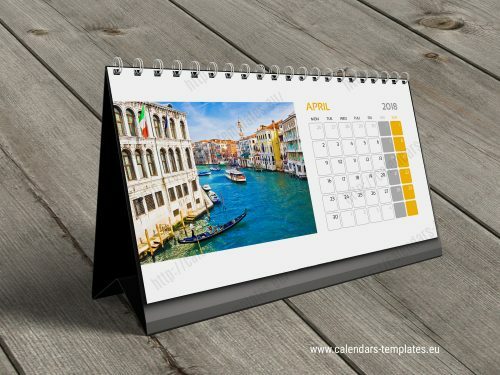 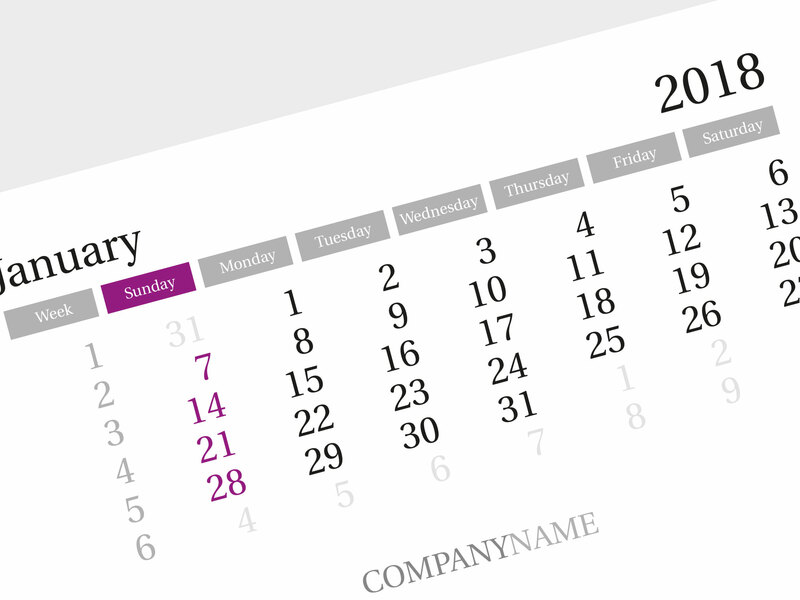 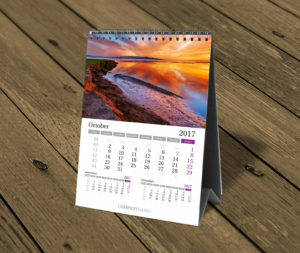 This custom desktop calendar template is fully vector graphic. Everything is editable, just add in your own pictures, company or personal details, adjust the colour and you are ready to print. 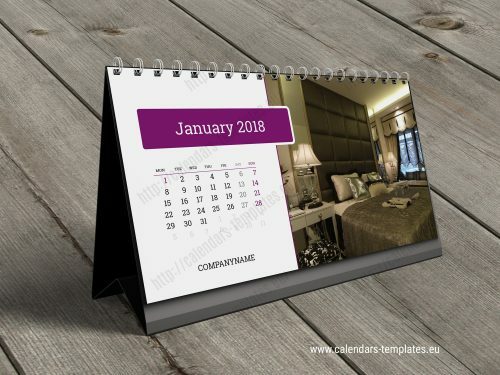 Printable vertical A5 size custom desktop calendar template, InDesign and PDF firmat.